Advanced Track & Trace® is a leading player in trade security. Illicit trade and hazardous practices pose significant risks and threats to governments and citizens. Advanced Track & Trace® supplies industries and governments with field-proven authentication, identification, secure traceability tools and dependable third-part infrastructures to control the risks and radically reduce them. For over ten years, Advanced Track & Trace® has acquired one of the best experience in the market, and has developed a unique know-how. Using this expertise, Advanced Track & Trace® is able to determine suitable strategies and to implement them to the client’s best interests. Requiring no additional consumables, simple to operate, Advanced Track & Trace® solutions can be integrated easily on all supports (paper, coated paperboard, plastics, metal, etc.) using all printing/marking processes. Each code has a unique identity that makes it possible to trace back production operations. The solutions can be integrated safely in all the subcontractors or suppliers’ production systems. These solutions can be used remotely in the field, by a simple smartphone reading or with other dedicated readers. Advanced Track & Trace® works with its clients to put in place identification strategies. Public codes (barcodes, 2D codes, NFC, etc.) may be associated with private identifications to meet different security, logistics, distribution monitoring and customer relationship requirements. Advanced Track & Trace® has mastered all types of identifiers, standards, implementation, and operation conditions. Thanks to its extensive experience in printing and marking systems, Advanced Track & Trace® is able to advise its clients on materials / substrates compatibilities - marking/reading (marking systems and proofreading) to make the best choices based on standards and industrial constraints (existing facilities, production rates, quality, etc.). Are the quantities produced really controlled? Are products’ components the right ones? Is the right product at the right place at the right time? How can product recalls be optimized? What is the best way to organize distribution? How can parallel markets be mastered? What is the best way to fight against different types of diversion? How can fraud be detected? These are the questions that traceability, associated with authentication can, provide an answer to. Each product (or each component) carries its own individual identity. The product is traced throughout the production process, storage units, shipments (automatic and picking), and the supply chain. 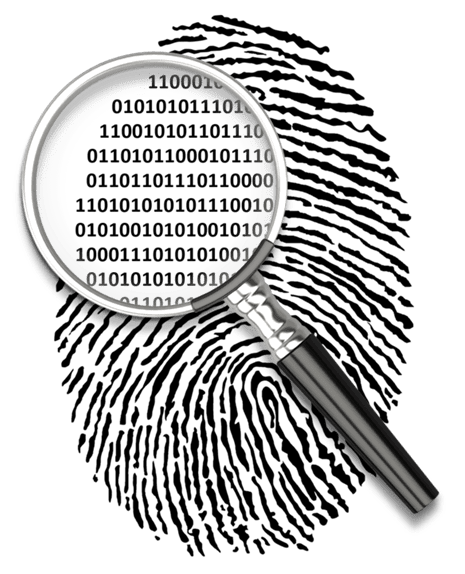 Identified using public codes (barcodes, 2D codes, or other), and sometimes associated with private solutions to address risks (counterfeiting, refilling, re-use, etc.) or fraud (diversion gray markets...), the product is unique and followed as such worldwide. It can also bear solutions for customer relationship and marketing. Advanced Track & Trace® is an expert in the integration of unitary traceability processes. Its experience with world leading groups places it at the forefront of innovative and optimized solutions, to provide complementary functions and a high added-value to a product without affecting the production tool. Advanced Track & Trace® provides turnkey unitary traceability applications: engineering, devices (marking-reading-automatics-etc. ), ERP or systems linkage, integration in existing ones, setting up, training and maintenance. Advanced Track & Trace® works on its own or in relation with suppliers of its clients. Advanced Track & Trace® offers solutions to facilitate customer relationship, through a product, making its packaging smart. These solutions, always validated by operational integrations within the largest groups, allow operations whose results are anticipated, known, and controlled, based on the markets they target. Using standard operating or proprietary applications according to the strategies chosen, Advanced Track & Trace® CRM offers a wide variety of options to involve the consumer (or a third target: distributor, dealer, etc.) safely and efficiently. QR code, secure QR code, unique and encrypted codes, Advanced Track & Trace® solutions provide original, simple and high-value functions. Advanced Track & Trace® provides complete turnkey solutions for traceability. Batch or unit traceability, the Hub2Track® software suite by Advanced Track & Trace® ensures the generation of different identifications as well as marking, monitoring and packaging management, down to the placing in storage. Upon shipping time, each product's unique ID is associated with the delivery order and fed in the ERP. Unit traceability makes it possible to check if the right product is at the right place at the right time. Depending on requirements, private overt/covert authentication can be associated and help fight against counterfeiting, control parallel markets and detect illicit tampering. It also allows an optimized recall of defective products already in the market.